Abstract: The microwave drying equipment and the drying principle and deficiency of synergy with various drying methods are expounded. The low-frequency ultrasonic drying method has the advantages of low drying temperature, high drying efficiency and high quality of dry products. Low-frequency ultrasonic waves can be used for fruits and vegetables in combination with other drying methods. dry. The microwave-low frequency ultrasonic combined drying has problems such as low energy utilization rate and difficult material quality control, which will be the research hotspot of microwave drying of fruits and vegetables in the future. Drying is an important means of processing agricultural products. After drying, agricultural products are conducive to the storage of agricultural products and can also reduce transportation costs. China's fruit and vegetable production ranks first in the world, and it has the largest share in international trade. Among them, fruits and vegetables account for about one-third of China's total fruit and vegetable export trade. Fruit and vegetable dehydration can reduce the activity of bacteria, mold and other materials in the material, so that it can be stored for a long time at ambient temperature. Reasonable drying means can retain the nutritional value, good color and taste of fruits and vegetables to the greatest extent, so as to realize the deep processing of agricultural products in the place of origin. At the same time, drying removes most of the quality of fresh fruits and vegetables, which reduces the cost of storage and transportation of fruits and vegetables. At present, the drying method of fruits and vegetables is still dominated by traditional hot air, and the products are referred to as dried fruits and vegetables. However, traditional hot air drying has problems such as long drying time, high energy consumption, and low heat and mass transfer efficiency. Therefore, it is necessary to develop new high-efficiency combined drying technology to meet energy saving, green safety, low carbon quality, intelligent precision and high quality products. In the current research report, there are many methods for combining drying techniques, such as hot air combined drying, microwave combined drying, vacuum freeze drying, ultrasonic synergistic treatment and pressure difference synergistic treatment. These drying methods have different energy supply modes. The heat transfer of hot air drying mainly transfers heat through the drying medium air, and the water evaporates from the surface of the material and then diffuses from the inside of the material to the surface of the material. Microwave heating is full-volume heating. Under the action of high-frequency electromagnetic fields, it causes the molecules to move and rub against each other, so that the water evaporates quickly. Vacuum freeze-drying is to freeze the material to freeze the moisture in the material into solid ice, and heat it in a vacuum environment to directly sublimate the moisture in the material. Ultrasonic synergistic treatment is a drying method that uses ultrasonic waves in combination with other drying methods. Ultrasonic waves are acoustic waves with a frequency greater than 20 kHz. Ultrasonic interaction with the medium produces thermal, mechanical, and cavitation effects that enhance the drying process of the material. Among them, the thermal effect causes the energy to be continuously absorbed by the material, so that the temperature of the material is increased; the mechanical effect causes the material to be repeatedly compressed and stretched, so that the structural effect force is greater than the adhesion of the surface of the water to promote the moisture out of the material; the cavitation effect is the cavitation bubble in the ultrasonic wave Under the action of continuous growth, the final rupture locally produces instantaneous high temperature and high pressure. Ultrasonic waves with a frequency of 20 kHz to 100 kHz are most commonly used in food processing, and the ultrasonic cavitation effect is best at this stage. Based on the special effects of low frequency ultrasound on agricultural material, it is often used to assist in the freezing, thawing and drying processes. 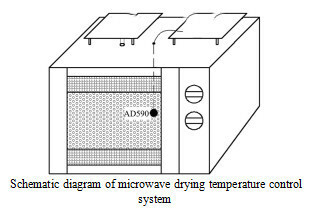 The application of ultrasonic synergy in the field of microwave drying is based on the effects of three kinds of effects on the physical properties of fruits and vegetables, improving the microwave dielectric properties of fruits and vegetables, and promoting the rapid and uniform drying of materials.